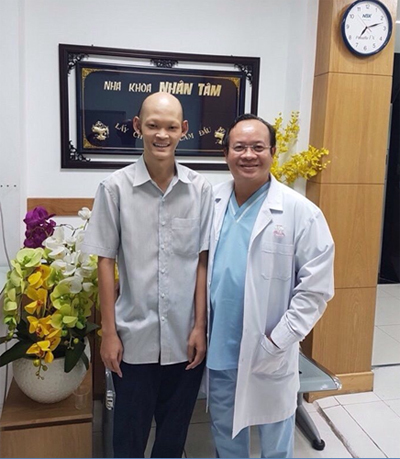 In 2017, after knowing the information that Dr. Vo Van Nhan - director of Nhan Tam Dental Clinic can perform dental implants for patients with toothless, Long's family decided to meet Dr. Vo Van Nhan with a hope that brings a good result for their son. After examination, the doctor diagnosed that Long had no teeth when he was a child, so the jawbone could not develop, no anchor bone holding the removable denture and made it difficult to eat. 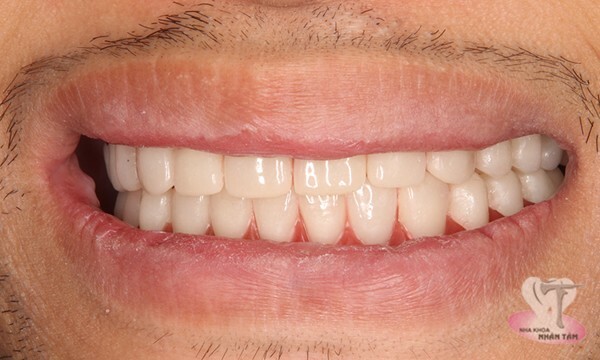 Dr. Nhan said: "This patient have no teeth since newborn leading to undeveloped jawbones, thin gums, which is a huge disadvantage in dental restoration because of no supported bone for holding the denture. Even traditional implantation cannot be performed because the maxilla bone was resorbed nearly to the nasal floor and the bottom of the maxillary sinus. The lower remaining jawbone is very little, just a few millimeters from the nerve". 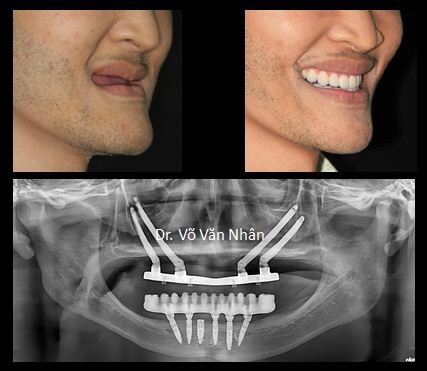 The traditional bone graft and implantation technique is impossible in this case because of the risk of many complications and the most important issue is the success rate not high. Therefore, Long was assigned to perform two complex technique: nerve repositioning for dental implant in lower jaw, and zygomatic implant placement for upper jaw restoration. The combination two of these techniques is a big challenge for professionals. The doctor must have years experience, deep understanding of anatomy structure to master these techniques, preventative and also control the possible complication, to ensure safety and successful result for the patient. In October 2016 and January 2017, Long underwent the nerve reposition surgery in lower jaw and the zygomatic implant surgery in the upper jaw. 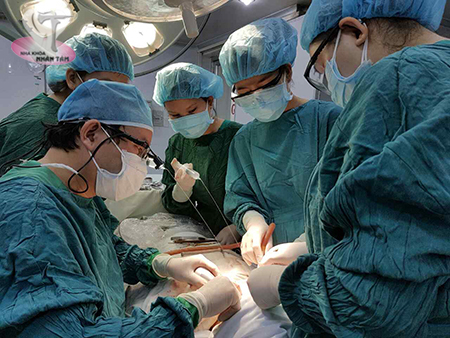 To have a good preparation for Long surgery, Dr. Nhan spent a lot of time researching and analyzing the bone shape as well as the important anatomical structures such as blood vessels, nerves, sinuses,...for a correct restoration surgery plan. After the surgery, Long's health condition recovered very well. In addition, he underwent the gingival graft surgery to increase the thickness of the gums around the implant. This is a difficult technique but it must be performed to ensure the long-term results. Then finishing the replacement of permanent porcelain teeth. Long said: "After full-mouth restoration, I feel the taste, sweetness, and appetite, which I have never had before, my face was improved". Now, he has no hesitation when standing in front of the crowd and confidently follows his passion, even his love. Now, Long completely feels confident with his healthy teeth. He happily said: "From the day I have got my new teeth, I do not have any difficulty in eating. Not only traditional meals but also other delicious food".